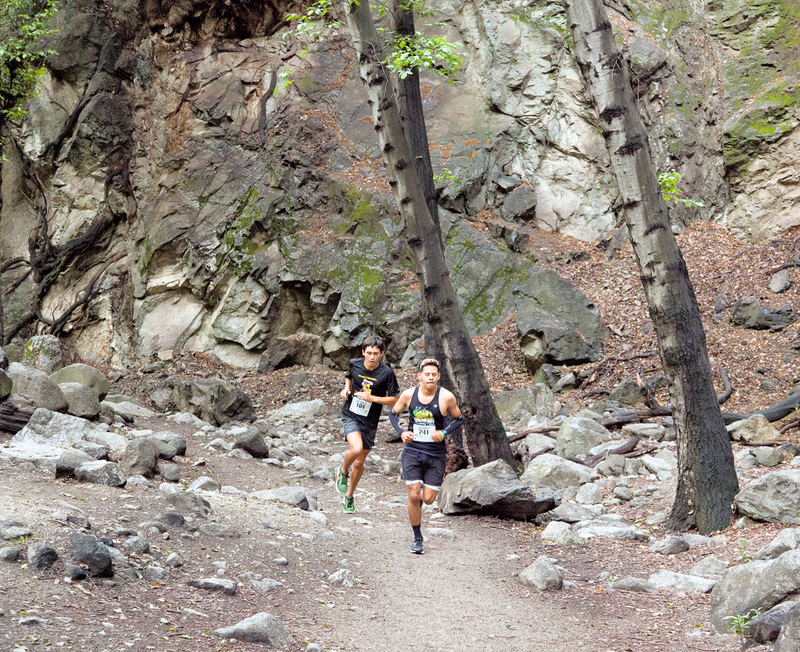 The lead male runners nearing the halfway point at the waterfall. 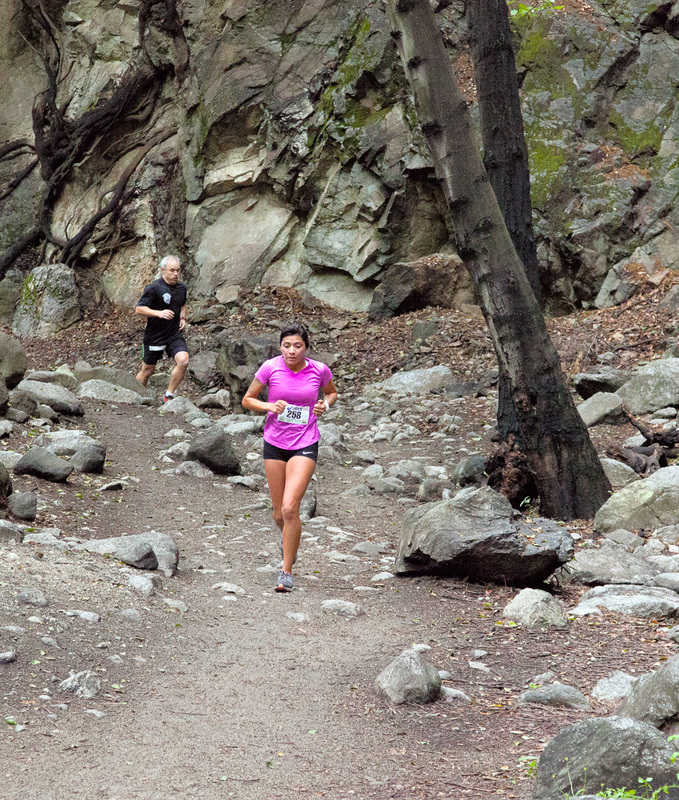 The lead female runner nearing the halfway point at the waterfall. A random group of participants arriving at, or just leaving, the waterfall. 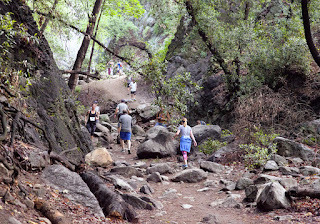 I haven't seen the race results yet so I don't know if these runners leading at this point held on to win the race. All in all a successful race and an impressive early finish for all the runners. 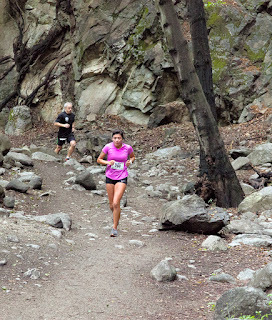 The lead runners in the top two photos above did hold on to win first for male and female.